We’d love your help. Let us know what’s wrong with this preview of A Hunger for Home by Sarah Elbert. To ask other readers questions about A Hunger for Home, please sign up. This was a really interesting read. I can't speak to the quality of the biography because I didn't know a thing about Alcott before reading this biography, but it seems well researched and contains a great deal of information from letters and manuscripts. I didn't realize that Alcott grew up in the Transcendentalist movement and that she knew so many of the important thinkers and reformers of the day. She also belongs to that unlucky club of literary women (and membership is pretty large when you This was a really interesting read. I can't speak to the quality of the biography because I didn't know a thing about Alcott before reading this biography, but it seems well researched and contains a great deal of information from letters and manuscripts. She also belongs to that unlucky club of literary women (and membership is pretty large when you start digging) who turn to writing because they can't depend on the shiftless men in their lives to earn any money. Her dad, Bronson, was an important writer and thinker, but he wanted to sit in his study, A Genius, and pontificate with his friends, but he didn't want to do any real work. This means that all the work had to be accomplished by his wife and daughters. At one point, he founds a commune, which turns out in practice to be Bronson and the other dudes lounging around "thinking" all day while his wife and daughters run a farm. His wife up and left, and I may have shouted a hurrah when I read that part. Ultimately, he leaves the commune, and they don't split up, but at least they got free of being the labor of that place (and Alcott and her mother both understood the irony in being staunch abolitionists while requiring a position of servitude for women in the household). I would give this book 4 or 5 stars - if it were a pamphlet. Very interesting - just really long and detailed. 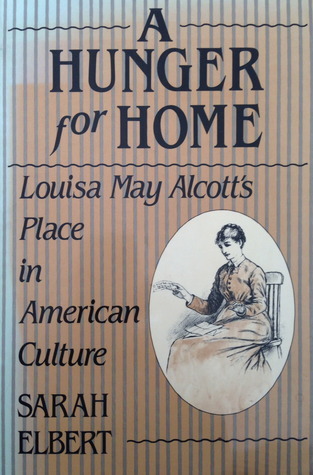 Tells about Louisa May Alcott's life in the context of the times - women's & children's rights, education reform, transcendentalism and her father's close relationship with Ralph Waldo Emerson and that group. I probably need to read Little Women again with a whole new perspective. Perhaps not a page turner, but definitely solid research and excellent notes for anyone wanting more information on LMA. Includes some photographs and memorabilia from the time.